Norfolk County is an extinct county in South Hampton Roads in eastern Virginia in the United States. It existed for 270 years, from 1691 to 1963. 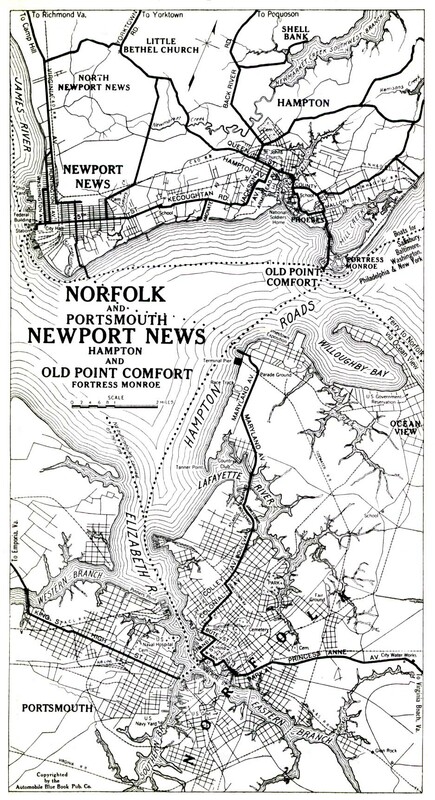 After the American Civil War, for a period of about 100 years, portions of Norfolk County were lost and the territory of the county reduced as they became parts of the separate and growing independent cities of Norfolk, Portsmouth and South Norfolk. The links directory provides suggestions for a variety of websites to assist in your family history and genealogy research. Bird's eye view of Norfolk, Portsmouth and Berkley, Norfolk Co., Va.-1891? Biography of Edward P. Pitts, M.D. Biography of James H. Southall, M.D. Biography of William Whitledge, Jr.